My friend Ms. TaVon Morrison says, “Just do it and it’ll be done and that’ll be that.” This is one of many favorite inspirational notes she has shared with me. I just moved to a new location for this blog site and I reminded myself to just do it. It was something I needed to do but have been putting off. So finally, I just did it, it was done and that was that. Breathe. Now take a minute to ask yourself, what am I waiting for? Breathe again and just go for it. Thank you TaVon for your push. 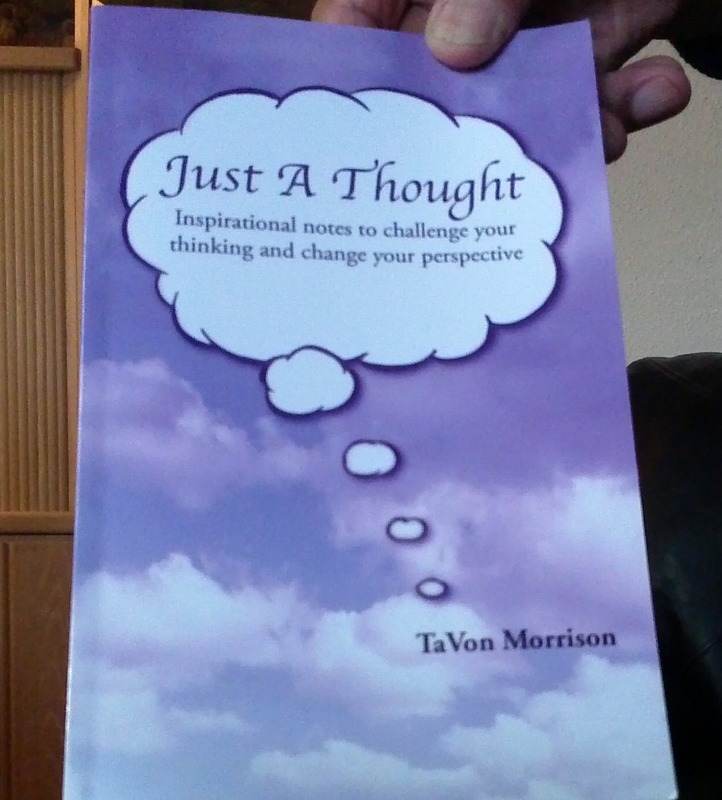 Speaking of a push, TaVon’s latest book is called Just A Thought and it’s now available through Barnes & Noble, Amazon and Xulon Press. Get a copy if you haven’t done so already, you will be blessed.